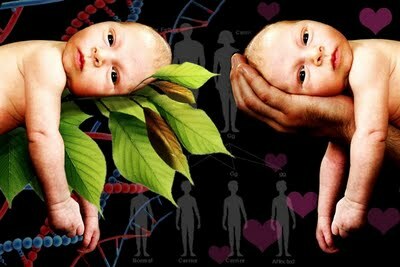 DNA: Evidence of Intelligent Design or Byproduct of Evolution? DNA is a self-replicating nucleic acid that supposedly encodes the instructions for building and maintaining cells of an organism. With an ordered grouping of over a billion chemical base pairs which are identical for each cell in the organism, the unique DNA for a particular individual looks kind of like statements in a programming language. This concept is not lost on Dr. Stephen Meyer (Ph.D., history and philosophy of science, Cambridge University), who posits that the source of information must be intelligent and therefore DNA, as information, is evidence of Intelligent Design. He argues that all hypotheses that account for the development of this digital code, such as self-organization and RNA-first, have failed. In a well publicized debate with Dr. Peter Atkins (Ph.D., theoretical chemistry, University of Leicester), a well known atheist and secular humanist, Atkins counters that information can come from natural mechanisms. Sadly, Atkins resorts to insults and name calling, so the debate is kind of tainted, and he never got a chance to present his main argument in a methodical way because he let his anger get the best of him. But it raised some very interesting questions, which I don’t think either side of the argument has really gotten to the bottom of. ID’ers trot out the Second Law of Thermodynamics and state that the fact that simple molecules can’t self replicate without violating that Law proves Intelligent Design. But it doesn’t really. The Second Law applies to the whole system, including many instances of increased disorder weighed against the fewer instances of increased order. Net net, disorder TENDs to increase, but that doesn’t mean that there can’t be isolated examples of increased order in the universe. That seems to leave the door open to the possibility that one such example might be the creation of self-replicating molecules. 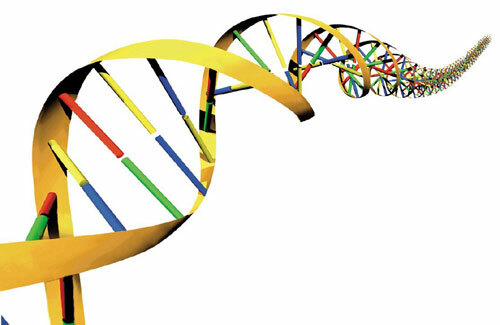 Another point of contention is about the nature of information, such as DNA. Meyer is wrong if he is making a blanket assertion that information can only come from intelligence. I could argue that, given a long enough period of time, if you leave a typewriter outdoors, hailstones will ultimately hit the keys in an order that creates recognizable poetry. So the question boils down to this – was there enough time and proper conditions for evolutionary processes to create the self-replicating DNA molecule from non-self replicating molecules necessary for creating the mechanism for life? The math doesn’t look good for the atheists. Dr. Robert L. Piccioni, Ph.D., Physics from Stanford says that the odds of 3 billion randomly arranged base-pairs matching human DNA is about the same as drawing the ace of spades one billion times in a row from randomly shuffled decks of cards. Harold Morowitz, a renowned physicist from Yale University and author of Origin of Cellular Life (1993), declared that the odds for any kind of spontaneous generation of life from a combination of the standard life building blocks is one chance in 10E100000000000 (you read that right, that’s 1 followed by 100,000,000,000 zeros). Famed British Royal Astronomer Sir Fred Hoyle, proposed that such odds were one chance in 10E40000, or roughly “the same as the probability that a tornado sweeping through a junkyard could assemble a 747.” By the way, scientists generally set their “Impossibility Standard” at one chance in 10E50 (1 in a 100,000 billion, billion, billion, billion, billion). So, the likelihood that life formed via combinatorial chemical evolution (the only theory that scientists really have) is, for all intents and purposes, zero. Atkins, Dawkins, and other secular humanists insist that materialism and naturalism are pre-supposed and that there is no argument for the introduction of the logic of intelligence into science. That sounds to me to be pretty closed minded, and closes the door a priori on certain avenues of inquiry. Imagine if that mentality were applied to string theory, a theory which has no experimental evidence to start with. One has to wonder why science is so illogically selective with respect to the disciplines that it accepts into its closed little world. My interest in this goes beyond this specific debate. I have a hobby of collecting evidence that our reality is programmed. I’m not sure yet whether DNA has a place in that collection yet. It will definitely need a little more thought.